I like this design because of its shape and function. When I heard someone told me the double wall glass, I thought it might look weird; however, when I saw this product, I totally changed my thought. 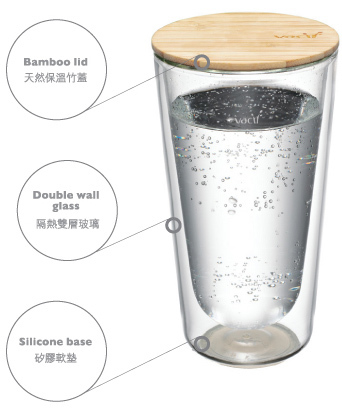 Designer made this common glass looks more high quality, and this product is made by human needs. It also has entertainment when the drink looks floating in the air. The use of bamboo is eco-friendly. Ultimately, I like this design which combines aesthetic and functionality.